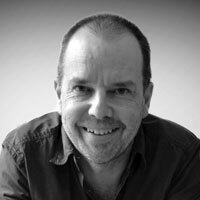 Brad has worked as a physiotherapist for over 20 years initially in the public health system in Australia and the UK, and for the last 17 years in Private Practice. 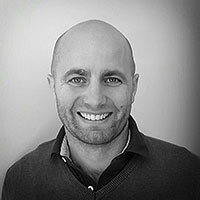 Brad has extensive experience in diagnosis, treatment and management of musculo-skeletal, spinal and sporting injuries. Ongoing participation in post graduate education and years working as part of a comprehensive medical team has provided Brad with excellent skills as a clinician who works with clients of all ages with multiple conditions. Brad uses multiple manual techniques, exercise and education to assist clients regain independence, pain-free movement and function. Brad is a keen cyclist, surfer, fisherman and kayaker. 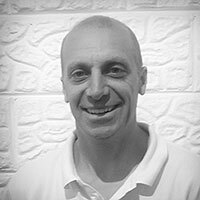 James is a Musculoskeletal Physiotherapist with over 10 years’ experience. He completed his BSc Physiotherapy with Honours in Edinburgh 2004 and spent the next 2 years perfecting his trade rotating through musculoskeletal NHS clinics in Edinburgh. During this time James provided physiotherapy cover for local rugby teams and was the academy Physiotherapist for the Hibernian Football club through the 2007/08 season. James travelled to New Zealand in 2008 to work at Wanaka Physiotherapy in the Southern Alps where he worked a full case load in the private clinic and provided physiotherapy cover to the local rugby team. Through the snow season James was involved in the treatment and rehabilitation of both recreational and international skiers and snow boarders as well as the NZ Winter Olympic Team. 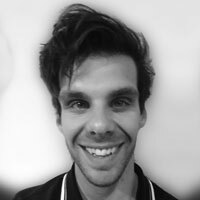 James moved to the Mornington Peninsula in 2009 and completed his Masters in Manual Therapy through the University of Western Australia while working at Pinnacle Physiotherapy and The Sports Injury Clinic. During this time James has provided Physiotherapy cover for many of the local football and netball teams and completed his DMA Pilates training. James is now full time at South Coast Physiotherapy. He enjoys being part of the close knit multidisciplinary team that the clinic offers and enjoys the challenge of seeing the wide variety of injuries and conditions that come through the door. James uses hands on treatment techniques but ensures that education and pursuing functional activity are the driving forces behind his injury management. In his free time James enjoys tackling the Red Hill mountain bike tracks and early morning crossfit sessions as well as spending time with his young family. James is a member of the Australian Physiotherapy Association. 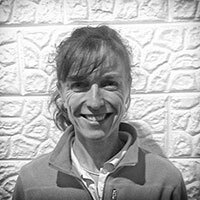 Raquel Poyser has had over 20 years experience working as a physiotherapist. During this time she has worked in rehabilitation and acute hospitals and private practice in Australia and the UK. 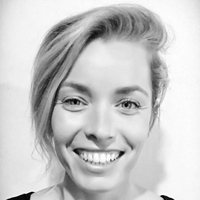 For just over 10 years Raquel has been working privately in the area of neurological Physiotherapy specialising in the management of Stroke, Acquired Head Injury, Adult Disability and general neurological disorders. Raquel enjoys working independently and as part of multi disciplinary teams with her focus being on assisting clients to to fulfil their physical goals and function. She is able to provide in home and in rooms treatment depending on the needs of the client. An important part Raquel's work can involve carer and staff training in manual handling, exercise program's or equipment use. Raquel is able to train individuals or teams of staff depending on the requirements of the client. In addition Raquel has experience in wheelchair and mobility aid prescription and is registered with the State Wide Equipment Program. Raquel looks forward to many more years of providing neurological and rehabilitative Physiotherapy for clients on the Mornington Peninsula. Ashley is a Psychologist providing psychological services to the Mornington Peninsula community. He is registered with the Psychology Board of Australia and with Medicare. He provides primarily Cognitive Behavioral Therapy (CBT) and Solution focused therapy. He also draws on the fields of Positive Psychology and Acceptance and Commitment Therapy. Wellbeing - a counseling service for people experiencing a range of issues including anxiety, depression, poor relationships, stress and lack of motivation. Performance - a counseling service for people who are wanting to improve their performance in sport, recreation, creative pursuits and work. Careers - a counseling service for people who are looking for a career direction. Careers assessment can be included. Jen has achieved over 11 years experience as a Myotherapist and Sports Scientist in the health and wellness industry throughout Australia, working alongside elite State and National teams. Guy has recently joined the South Coast Physiotherapy team after completing his Masters of Physiotherapy Practice at Latrobe University in 2017. Originally from East Gippsland, Guy began his studies completing a Bachelor of Exercise & Sports Science before pursuing Physiotherapy. Guy has a keen interest in sport and sporting injuries, growing up playing football, cricket and also obtaining his black belt in Taekwondo. During his studies he was employed as a personal trainer and also as a sports trainer- both which have helped him develop his manual skills and an extensive exercise prescription knowledge to support his patient's through all stages of their rehabilitation. Guy is a firm believer in clinical Pilates and aims to take a holistic approach to reduce pain and allow an optimal return to function. In his spare time Guy loves to embrace all the peninsula has to offer, regularly surfing and revelling in the local live music scene. Guy is a member of the Australian Physiotherapy Association (APA).